The article below by Andy Sloane, 5th Dan, Isshin-ryu karate, is a wel-written article refuting ideas related by Mr. Chambers, which go against facts and ideas related by years of testimony of credible first generation students of Tatuo Shimabuku. The reason for Chamber’s article may be numerous, from political, to misrepresentation of known facts, to a desire to try to make a name for one’s self. Read the article and research, as I have done since 1973 and make an informed decision. In regards to the newest issue of Classical Fighting Arts magazine (Vol. 2, No. 23), first of all, let’s all be perfectly clear about some things. Noted historian and author Charles Goodin wrote the article on Shozen Sunabe Sensei, a former student of Chotoku Kyan Sensei. In recent correspondence, Mr. Goodin told me that though Sunabe Sensei did not ever specifically identify for him individuals who trained with Kyan Sensei between the years 1925 and 1937, he (Mr. Goodin) said he had no doubts that Tatsuo did train with Kyan Sensei. Other karate historians, likewise, do not doubt that Tatsuo Shimabuku trained with the teachers we have always maintained that he trained with. However, David Chambers (the publisher of CFA magazine), wrote the article on Isshin-ryu with the viewpoint that Tatsuo did not train with these famous instructors — despite me having supplied him with the correct information many months ago, including all of my sources. David Chambers decided to leave out the sources, not me. David Chambers took the stance he took without my knowledge or consent.I was not happy in the slightest with his stance regarding Tatsuo’s karate pedigree when I saw his first draft of the article and I told him so. I immediately sent him a 14-page rebuttal addressing every single point of contention that I knew would arise due to his comments and/or opinions. (I even pointed out and corrected all of his grammatical errors for him; many of which he also did not correct for the final draft.) Having met and spoken with Mr. Chambers at great length earlier this year, it became obvious early on that he had primarily been exposed to Isshin-ryu karate as taught in the United States and that he clearly really knew nothing about it aside from what he’d seen and read in various publications; most of which he found down-right ludicrous. However, he was very impressed by my research and seemed quite excited to have an article about Isshin-ryu in his magazine. Though many might disagree with me (some more vehemently than others), as the generations have progressed over the course of the past half-century, for varying reasons, the Isshin-ryu taught by many lineages in the United States stands in stark contrast in many respects to that which was once taught by Tatsuo Sensei and is presently being taught by Tsuyoshi Uechi Sensei in Okinawa. Mr. Chambers was not previously aware of the circumstances surrounding Isshin-ryu’s development. He was only vaguely familiar with its post-War exportation and evolution (some might argue devolution) in the United States. Consequently, I’m sad to say, that Mr. Chambers comes across as having a rather negative opinion of our style. However, the very fact that he wanted to do an Isshin-ryu article with accurate information in the first place proves that he does consider it a legitimate style worth preserving and was trying to bring exposure to it just as he’s done with the other styles of Okinawan martial arts via his internationally popular magazine. As a matter of fact, this is a task he has been charged with by the senior members of the Okinawan Rengokai, and one that he takes rather seriously. Though he does not train in karate, I can tell you for a fact that he truly cares about Okinawan history, culture, and the preservation and transmission of Okinawan karate to future generations. He sincerely wished to help bring more exposure to Isshin-ryu karate, and I do not believe that he purposely intended to offend anyone with his article. If you ask me, he just went about expressing his own opinions a bit too much. Though the timeframes Tatsuo did so needed to be clarified somewhat, we obviously know that Tatsuo did train directly with Kyan, Miyagi, and the others, and I insisted that Mr. Chambers nottake the stance he did. I knew he would only put off his audience of Isshin-ryu practitioners if he took this stance and I was correct.And so, it has begun. Therefore, before the hate mail begins to fly any further, let me say that I give you all my word that I did my absolute best to supply Mr. Chambers with nothing but accurate information from the start so that we, as a style, could have an article we all could be proud of. Mr. Chambers was not the only one who had a lot riding on this article. My reputation as a historian and researcher was also hanging in the balance. This article was months in the making, and suffice it to say that I was very disappointed with several aspects of the end result. As many know, I have worked very hard for the past 19 years compiling data on Isshin-ryu karate to better understand its true history. I’ve used A.J. Advincula Sensei’s ground-breaking research as a guide since the beginning, and I’ve clarified other necessary items along the way to weed out what was inaccurate or distorted. Some might disagree with my documented sources of information, but I’ve always tried my best over the years to learn from all Isshin-ryu lineages and all Isshin-ryu practitioners I’ve encountered. I do not blindly follow any one person. I am loyal to Tatsuo Shimabuku’s Isshin-ryu karate — as I think we all should be if we are to consider ourselves Isshin-ryu karate practitioners. I think I’ve made that crystal clear over the years. But, as much as there is accurate information contained in this article (dare I say moreso than in any other article to date), there is seemingly just as much that is insulting to me and to the rest of us. For instance, though I expressly pointed out to Mr. Chambers that Tatsuo’s vision of Ryuzu Kannon was the inspiration for the Isshinryu no megami, he took it upon himself to write that it was Kannon Bosatsu that Tatsuo saw. Kannon Bosatsu is the Buddhist Goddess of Mercy, but she does not [necessarily] ride a dragon; Ryuzu Kannon, on the other hand, does. Kannon Bosatsu simply means “Boddhisatva Kannon” and is not accurate; at least, not completely. Likewise, Mr. Chambers also made it seem that Tatsuo’s contract with the Marine Corps was already in place by the January 15, 1956 meeting at which Tatsuo named our style. I had already clarified that the contract went into effect in 1957. There are a few other items I took issue with but I will not detail them here. However, for those of you who do not know, it should be known to all at this time that the family of Chojun Miyagi Sensei and senior students of Miyagi denounce that Tatsuo Shimabuku trained with Miyagi because no one remembers ever seeing him in Miyagi’s dojo or any of the places that Miyagi is known to have taught in Okinawa. The answer to this is simple: It is because Tatsuo trained with Miyagi after the War, not before it. The late 1930s timeframe that most are familiar with is off by a decade. Chojun Miyagi used to teach Tatsuo privately at his home in Kyan village when Miyagi lived in Gushikawa City between the time that Tatsuo and his family returned from Kyushu in late 1946 and when Miyagi Sensei returned to Naha in late 1947. Earlier this year, in approximately 25 pages, I laid out a description of the entire spectrum of Isshin-ryu history for Mr. Chambers to dispute the wildly inaccurate 6-page collection of information he had asked me to review and critique. I included many details about Tatsuo’s life and death, his correct date and place of birth, his date of marriage, his training with his illustrious teachers, his children’s names and dates of birth, what Tatsuo subsequently taught in his dojos before and after he named Isshin-ryu, what he did for a living before, during, and after the war, as well as the correct timeframes in which the American Isshin-ryu pioneer students trained in Okinawa and how/why it was that Tatsuo came to be involved with the Marine Corps (instead of the Army, Navy, or the Air Force) in the first place. I also included brief histories of all the major Isshin-ryu karate associations to show how the style further splintered into the 1970s and who heads each one today. With all of that said, in further response to the below message on the Isshinkai message board, it is an accurate statement to say that Isshin-ryu has, at present, nearly died out in Okinawa. To think or say otherwise is clearly a mis-informed notion. Over the course of my four years on Okinawa, I personally saw that Kichiro Shimabuku Sensei seemingly had next to no active adult black belt students. Granted, I did not attend his classes on a regular basis as I chose to train primarily with Uechi Sensei instead, but I never saw more than two assistant black belt instructors any of the times that I visited and trained in his dojo. In fact, the only two I ever saw was only upon one particular occasion of a group of his long-time supporters visiting his dojo from the States. The rest of the time, Kichiro personally led his classes of half-a-dozen to a dozen children. Though he is said to be an Isshin-ryu black belt, Kichiro’s only son is a medical doctor and likely will not be taking over for his father upon his death or retirement. It does not look bright for the future of the IWKA in Okinawa, in my opinion. Angi Uezu Sensei, due to his debilitating health problems, no longer enjoys the large following that he once did. I visited with him at his home on several occasions. His son, daughter-in-law, and grandchildren live upstairs where the OIKKA dojo once boasted a robust student body of both locals and foreigners. Uezu Sensei was always in good spirits when I visited or brought others to see him, but he no longer teaches and can barely walk. His beloved wife, Yukiko, the third daughter of Tatsuo Sensei, now lives in a nursing home. Uezu’s student, Ichiro Nakahodo Sensei, has a dojo far to the southeastern part of the island in Nanjo City. Unfortunately I never made it down to visit it, but I never once saw any Isshin-ryu students besides Uechi Sensei’s attending the semi-annual Okinawa Rengokai-sponsored tournaments, including the Okinawa World Tournament in 2009. It is my opinion that the OIKKA is now, for all intents and purposes, defunct on Okinawa. I heard rumors of a former student of Angi Uezu’s named Shinsei Matsumoto who, like Kichiro, taught Isshin-ryu in Uruma City (formerly Gushikawa City). Unfortunately, I never did find his dojo even though I lived very close to what was once the epicenter for Isshin-ryu activity in Okinawa. As with Nakahodo’s students, I never saw any of Matsumoto’s students at any of the Rengokai tournaments throughout the year. Another former student of Uezu Sensei’s, Glenn Brown, Sr., a retired Marine Major living in Okinawa, is now teaching at Marine Corps Base Camp Hansen. Prior to him beginning his class(es) at Camp Hansen, Mr. Brown would occasionally stop by Marine Corps Base Camp Foster and work out with Uechi Sensei and the rest of us, or more accurately, in the same room as the rest of us as he was usually in the back of the class and worked out at his own pace and left as he pleased. He assisted when asked, but mostly worked out by and for himself, and frequently left before the formal class was over. I do not know the number of students that Brown Sensei has at present, but they are likely all military personnel or their dependents, and consequently will not be on Okinawa for very long. 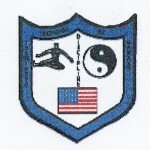 Glenn Brown, Jr., a civilian government contractor and the son of the aforementioned Mr. Brown, would occasionally assist Uechi Sensei in teaching classes at Camp Foster. However, as he worked far north at Marine Corps Base Camp Schwab, his appearance was usually not to be counted upon unless there was a tournament or some other function (such as the CFA-Rengokai seminars) that Uechi Sensei specifically requested his assistance for. Glenn Jr. does not seem to have any desire to return home to the U.S. anytime soon, but though he also occasionally assists his father with classes at Camp Hansen, he never expressed any interest to me in opening an Isshin-ryu dojo of his own. Finally, we have Isshin-ryu’s last great hope for survival on Okinawa in Tsuyoshi Uechi Sensei. Uechi Sensei has made great strides in getting Isshin-ryu recognized and respected once again by the Okinawa Rengokai, the main martial arts association of Okinawa. Since resigning as President of the OIKKA and striking off on his own a decade ago, Uechi Sensei has returned our style to as close to the way it was once performed by Tatsuo Sensei as one can get nowadays. By using the films of Tatsuo Sensei as his primary reference, as well as consulting with several American first-generation students over the years, Uechi Sensei has successfully returned our style to its roots in Okinawa, and in so doing, has been able to secure the support and cooperation of the Okinawa Prefectural Government. He is single-handedly exposing large numbers of foreigners to Isshin-ryu karate through the Classical Fighting Arts magazine-sponsored training seminars that now occur four times a year. Though he is one of the more popular instructors in the Rengokai sessions, he, nevertheless, has a very hard road ahead of him in keeping Isshin-ryu alive in Okinawa amongst Okinawans. Uechi Sensei went from having about four Okinawan students (including his wife and daughter and two small neighborhood children) at his honbu IOTKA dojo in Okinawa City when I first arrived to having none for quite awhile, and then back up to one American student just prior to my departure three months ago. Likewise, attendance at his classes at Marine Corps Base Camp Foster was greatly diminished by the time I left; though, perhaps, it being summer vacation had something to do with it. Regardless, all of the students Uechi Sensei has at Camp Foster (a number that always seemed to hover between 6-10 students with very few adults sticking around for longer than a handful of classes) are Service members or dependents of American military personnel who will eventually be departing Okinawa. Uechi Sensei only promoted one adult to black belt — Sadao Darby — the entire four years I trained with him. This very talented and powerful young man is half-American and expressed to me the possibility of leaving Okinawa for the U.S. at some point in the future. And what of Tatsuo Shimabuku’s remaining Okinawan students? Eikei Maekawa died in 2011. Seishin Kikuyama made it clear that he does not wish to be found. Chinsaku Kinjo denies the fact that he even once trained with Tatsuo at all and will not take visitors. Though I tried, Yushin Tome, Seisho Tokumine, and Eizo Shimabuku were all unable to be contacted. Kensho Tokumura has trained in Goju-ryu since 1987 and now teaches his own style of kobudo. He is loyal to Tatsuo Sensei’s memory and will critique your Isshin-ryu technique if you ask, but he does not teach Isshin-ryu. I sincerely hope that none of my comments were interpreted as insults to any of the individuals I mentioned because they are absolutely not meant to be. They are simply my non-sugar-coated opinions based on my nearly four-year experience of being stationed on Okinawa with the United States Navy between June 8, 2008 and June 30, 2012. I was physically on Okinawa for about 3 years and 8 months of the four-year timeframe I mentioned and, in addition to assisting and supporting Uechi Sensei, I tried to be involved in as much fact-finding and Isshin-ryu history preservation as possible whenever my military duties allowed. It is a fact that during my time in Okinawa I saw more Isshin-ryu practitioners coming to Okinawa from the United States and other parts of the world than I saw Isshin-ryu practitioners permanently living in Okinawa. Plain and simple. Folks, Isshin-ryu has all but disappeared from Uruma City. There are no monuments to pay tribute to Tatsuo Shimabuku as there are for other famous karate masters in Naha or elsewhere. So, where does all of this leave Isshin-ryu karate in Okinawa? It is very unfortunate to say, but I feel very strongly that Isshin-ryu will be completely extinct in Okinawa in another 20-25 years, perhaps sooner. Then again, time may prove me wrong. I hope so. In returning to my initial point, I wish to close by reiterating that despite my best efforts, the viewpoint Mr. David Chambers took with certain aspects of our style and its founder were his own pre-conceived notions that I was unable to get him to change before the magazine was printed. I had absolutely no idea (until it was too late) that the final printed version would reflect the air of disdain for the style that it does, and I sincerely apologize to each one of you who may be offended by what was published. The newest issue of Classical Fighting Arts just came out (#23).There were a couple of articles of interest to Isshin-Ryu.The first article was about a longtime student of Chotoky Kyan, and in it he mentions how the training was under Kyan. What really caught my eye was the mention that Kusanku was taught to fight at night by Kyan. Also, that he taught two versions of his method. The public version which was just kind of the shell and the version he taught to his private students with applications.The second article that was written, to me, was a bit more controversial. It looked at the history of Isshin-Ryu and pointed out that Shimabuku could not have learned from Kyan and Miyagi directly and gave reasons why. And made the conclusion that Shimabuku must have just learned katas here and there from whomever and that the style was mainly American in nature and has almost died out in Okinawa.